Winner of the Junior Prize of the Aventis Prizes for Science Books 2001. The Aventis Prizes are the world's most prestigious prizes for science books. 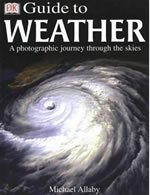 DK Guide to Weather will take you on an extraordinary trip through the restless atmosphere.